Can you guess what my ManCandy theme for April is? 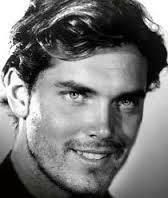 Jeffrey Hunter is a hottie from another decade but he has something in common with Willem Dafoe and Diogo. If you figure it out, drop me a line at tobi.doyle@comcast.net or comment below. I’ll draw five names randomly from the correct answers and the winners receive one of my ebooks of their choice.